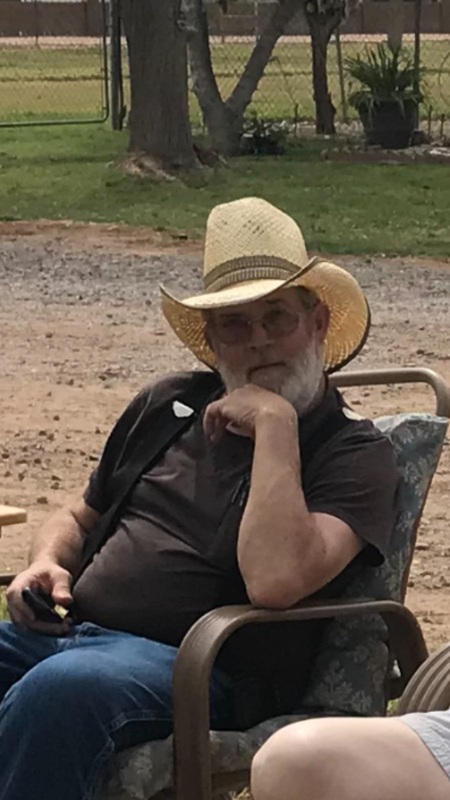 Dennis William Fleagle, 59, of Mesa, Arizona, passed on peacefully at home on May 27,2018. Dennis was born November, 22, 1958 in Mt. Pleasant, Iowa. To Richard and Marydel Fleagle, graduated Mesa High School 1977 in Arizona where he grew up and lived most of his life. Dennis was predeceased by his Mother, Marydel Fleagle. 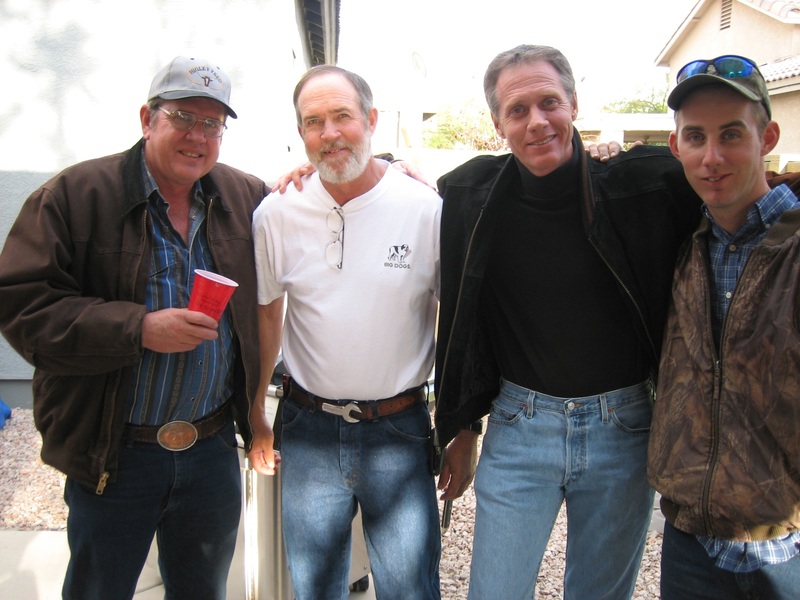 Dennis is survived by: his father, Richard Fleagle, brothers, Duane and Alan. There was a viewing for Dennis for family and friends on May 31, 2018. An Urn of Walnut made by Duane and Jake Fleagle will be kept by the family until a service his held, yet to be determined. 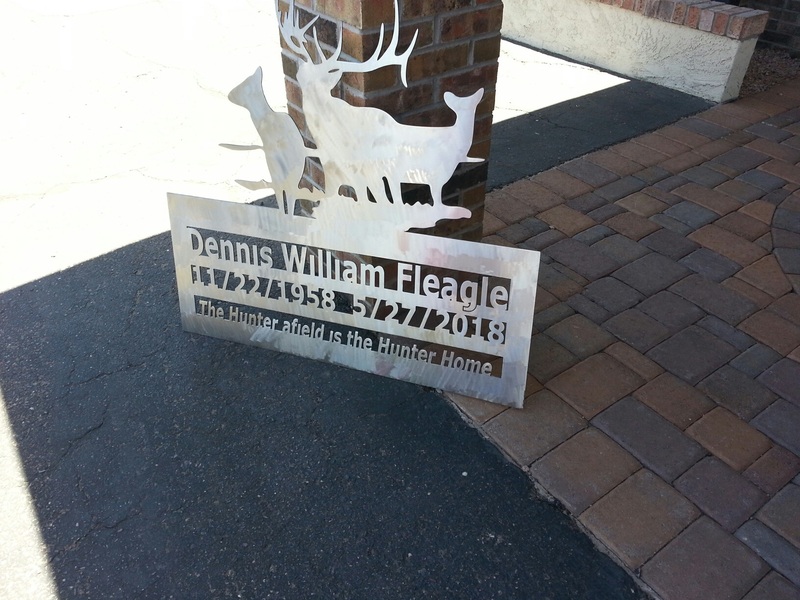 A memorial marker made of cnc metal was also hand made by Dallas Fleagle. Dennis lived a life of giving and kindness. 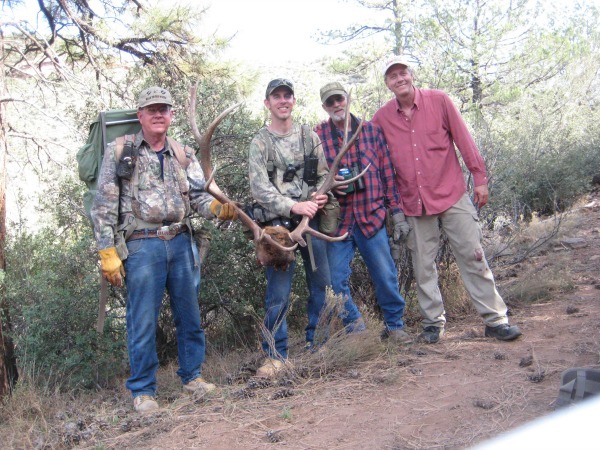 Lived and worked for Fleagle Plumbing for many years and was like a second Dad to his Nephews, taking many hunting and fishing trips together. Dennis shared his vast knowledge of auto mechanics and welding with the boys as well. 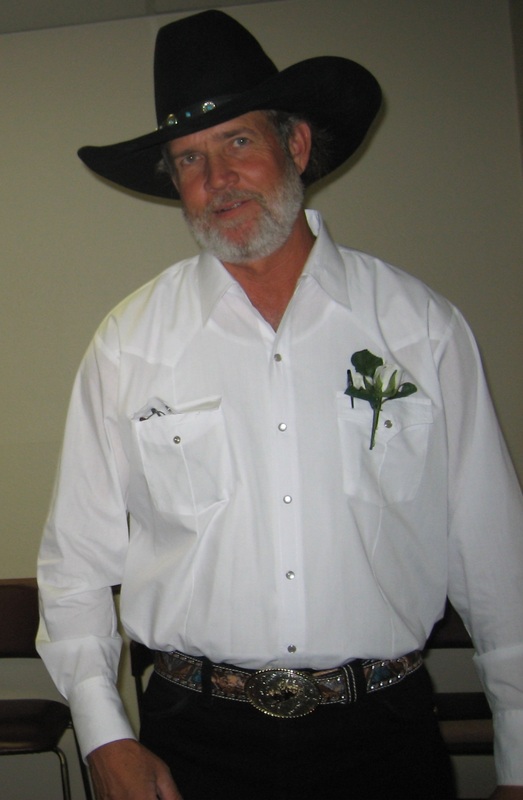 Dennis was a heavy line mechanic, licensed Jouneyman plumber, welder, pipe fitter, worked on hydraulics, marine motors. From a lawn mower to an 18 wheeler, Dennis could do it. Dennis was an Eagle scout. 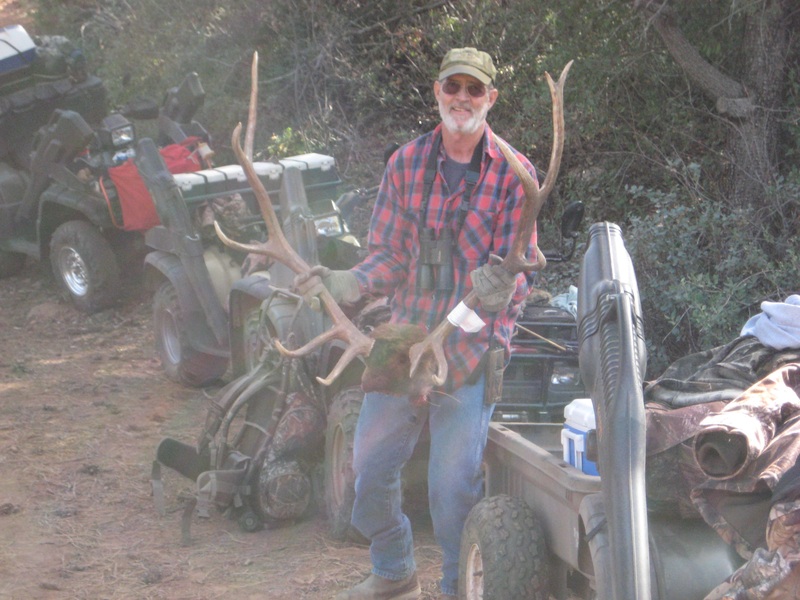 He was a devoted son, brother and uncle, always ready to help out someone in need. It was commonly said about Dennis, “he has a big heart”. Dennis’s laugh was also unique, we called it a “cackle”, but anyone who ever heard it, new it was all Dennis. Free from the evil’s of this world, I pray that Dennis rests with God’s peace and light for all eternity. Goodbye Denny (uncle Dan), from all of us who’s lives you’ve touched. Amen. That’s the perfect picture of Dennis. I still can’t comprehend that he’s gone and probably never will completely accept it. I never knew him like his family but, in my mind, to to him at all was to know him like his family. Like all of his family to have met any of them was a honor without question that would leave an impact on you forever. I can only hope that for eternity Dennis will be at peace. Dennis, such a wonderful, fun, giving man. I have so many good, happy memories of him. He was always smiling, even when he had so much pain to deal with. Rest in peace, Dennis, you are gone to soon, and I will miss you, always. Much love and hugs to his family. I knew Dennis…seems like my whole life since we went to school together. The Fleagle family has impacted both our lives in so many ways. 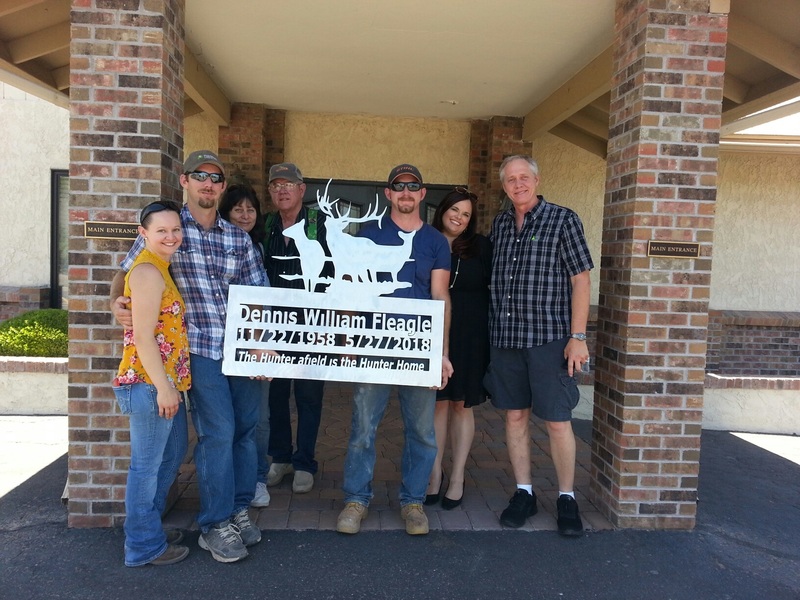 Dennis helped us when we were moving Wade’s parents household to Utah. Dennis saved the day and we were able to get home at the planned time. He was such a fun guy to be around. He definitely could have been with us longer but I’m sure he’s enjoying being in “the Happy Hunting Gound” in heaven. Our thoughts are with those left behind….. who will miss him. You are in our thoughts and prayers. Memories of a wonderful man full of love.